Some 40 Countries have agreed on a draft United Nations Regulation for Advanced Emergency Braking Systems (AEBS) for cars. This will significantly improve road safety, especially in cities, where in the European Union alone, over 9,500 fatalities were recorded in 2016, accounting for 38% of all road deaths. Inside urban areas, 50% of the fatalities were drivers and 40% were pedestrians. The draft UN Regulation, adopted at UNECE, will lay down the technical requirements for the approval of “vehicle-to-vehicle” and “vehicle-to-pedestrian” AEBS fitted on cars. Such systems employ sensors to monitor the proximity of the vehicle or pedestrian in front and detect situations where the relative speed and distance between the two vehicles or between the vehicle and pedestrian suggest that a collision is imminent. In such a situation, if the driver does not react to the system’s warning alerts, emergency braking will be automatically applied to avoid the collision or at least to mitigate its effects. A study by Euro NCAP and Australasian NCAP concluded that AEBS lead to a 38% reduction in real-world rear-end crashes at low speeds. According to estimates by the European Commission, AEBS could save more than 1,000 lives every year within the EU. AEBS are already available for some cars in some countries, but there were no standard technical requirements guaranteeing the effective performance of such systems so far. The new UN Regulation will impose strict and internationally harmonized requirements for the use of AEBS at low speeds, even in complex and unpredictable situations such as traffic in urban areas. The Regulation sets out test requirements for the deployment of AEBS at a range of different speeds, from 0-60 km/h. In addition to cars, the Regulation will be applicable to all light commercial vehicles (vans and minibuses with less than 9 passengers). With this Regulation in Force, most of existing systems will have to be updated to meet stricter requirements. 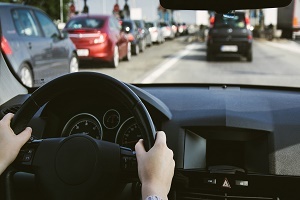 The draft Regulation was approved by the Working Party on Automated/Autonomous and Connected Vehicles (GRVA) under UNECE’s World Forum for Harmonization of Vehicle Regulations (WP.29). The draft will be submitted to the World Forum for consideration and formal adoption at its June 2019 session. Following its adoption, the new Regulation would enter into force in early 2020. The European Union and Japan, who together led the development of the Regulation, have announced that AEBS systems would then become mandatory for all new cars and light commercial vehicles (from 2022 in the EU). This would mean that over 15 million new cars in the EU (sales figures for 2017) and over 4 million new cars in Japan (sales figures for 2018) would be equipped with the lifesaving AEBS technology every year. The Regulation builds on an existing UN Regulation on AEBS for trucks and buses, which is primarily designed to improve safety in motorway conditions. In order to harness the lifesaving benefits of such systems for all road users – especially those most vulnerable in the event of a crash – GRVA will continue working on further amendments to the UN Regulation so that AEBS are capable of preventing collisions with pedestrians in a wider range of contexts. GRVA will also define requirements for detecting and reducing the risk of collision with cyclists, which are much more difficult to detect than other vehicles. These requirements are currently being finalized and are expected to be considered for adoption by GRVA in September 2019. The World Forum for Harmonization of Vehicle Regulations (WP.29), hosted by UNECE, is the intergovernmental platform that defines the technical requirements applied by the automotive sector worldwide. GRVA is one of the six subsidiary bodies of the World Forum. Countries from all over the world (including USA, all European countries, China, Japan, Korea, Australia and South Africa) participate in the work of GRVA, mobilizing expertise from key industries including the automotive, IT, telecoms and insurance sectors, together with civil society.